Despite giant leaps forward, we are still in the dark about ninety-something percent of the universe as we know it. Mind-bogglingly grand and intricate experiments are devised by experimentalists around the world to test the theories and possibly gather clues that will shed light on our understanding. 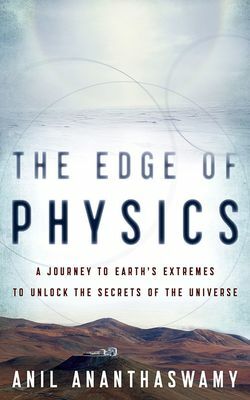 In The Edge of Physics, Ananthaswamy, a consulting editor for New Scientist, records his journey to ten of the sites of these large experiments across the continents, giving us an inside look at not just the laboratory set-up but also at the rough terrain and harsh conditions under which dedicated scientists plod on. The descriptive text transports us from Minnesota's abandoned mine to Siberia's frozen Lake Baikal and Mount Saraswati in Tibet, as we learn about the sensitive instruments gathering data round the clock, through the years, sometimes with international collaboration. We also learn why that particular location was chosen and how the equipment was constructed, given the lack of conventional safety standards.